Back in May, we showed you a picture of a bezel-less device called the ZTE Nubia X8, that was allegedly equipped with a 5120mAh battery. The phone had a 5.5-inch or 6-inch display, carrying a 1440 x 2560 QHD resolution. Today, more photographs of the phone appeared, with the handset dressed in Gold. The images also revealed that the phone has some type of touch volume controls on the right side. And on the same side is a home button said to contain a fingerprint scanner embedded inside. 4GB of RAM is believed to be on board. Additionally, a teaser with the Nubia logo was discovered on the official Nubia Weibo page. It reveals that ZTE will be holding a media event on October 15th, which happens to be this coming Thursday. The copy for the teaser says that it is "X Time," although the number 3 is all over it. 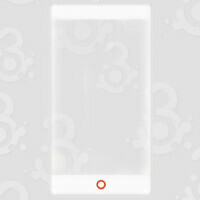 So while we could see the ZTE Nubia X8 unveiled on Thursday, we really cannot say for sure. Keep checking in since we could see some new leaks before the event on the 15th. And of course, once Thursday does arrive, we should be able to pass along all of the exciting news from ZTE. Looks pretty Awesome . Well done ZTE . The hollow volumes control makes it look like having some kind of defect. The Soc And Method Of Cooling Will Decide This Phone's Fate. And Phonearena will still give it a s**te score..